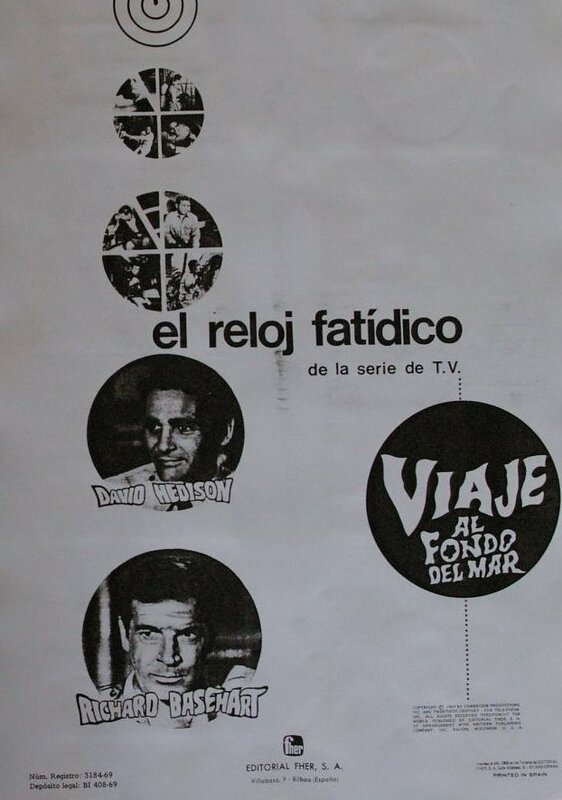 A Voyage promotional poster from Spain issued in 1969. Poster features our famous crew members Richard Basehart and David Hedison. Poster also includes a cool ABC promotional ads of the cast, logo, and or images. Very scare item to obtain in the USA for collectors. Many thanks to, "Tony Rossell" for this item!